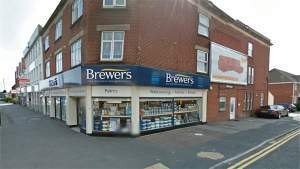 Bournemouth residents and tradespeople are rather spoilt for choice of Brewers Decorator Centre. North Bournemouth customers may choose our Wimborne Road branch for convenience; here at Holdenhurst Road Brewers we look after the decorating needs of customers from central and east Bournemouth. Our showroom boasts the biggest range of wallpaper books in the area, plus fabrics, curtains and blinds, a good selection of trade and designer paints, all the necessary decorating supplies and accessories you might need, and a kids’ area to keep your children happy while you browse. We’ve been in the same place for more than 60 years now, opposite the fire station on Holdenhurst Road, just off the A338 Wessex Way towards Christchurch. Each of our team members has been providing expert advice for Brewers for at least 15 years, so you’re in safe hands.